Flight 370 disappearance: Why I think the missing airliner could be in Central Asia. No sign of MH370 here. 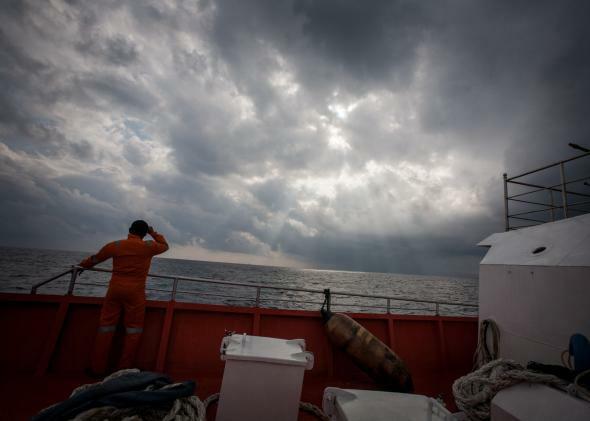 I’ve been covering the story of missing Malaysia Airlines Flight 370 for four days now, and it’s settled into a rhythm. Every day, new evidence points to a conclusion that beforehand would have seemed laughably absurd. We publish an analysis of the situation that seems most likely to us. Readers scoff. Further evidence emerges that reinforces the once-crazy notion, and some proportion of the doubters come around. Then even more implausible information turns up, and it’s off the to the fringes again. My post from this morning, in which I asserted that the plane is most likely in western China or an adjacent Turkic area, stands out for having received an extra measure of skepticism. “Impossible,” many have declared, in comments and over Twitter. So I’d like to go back and further explain my logic in coming to the conclusion I did. The first thing I want to make absolutely clear is that my entire premise is based on today’s statement by the Malaysian Prime Minister, and the accompanying chart showing two arcs where the Malaysians believe MH370 happened to be when the ping was detected by satellite at 8:10 a.m., Malaysia time. If that assertion does not hold up, then everything I’m about to say falls apart. Image from the Malaysian government. Today, based on raw satellite data that was obtained from the satellite data service provider, we can confirm that the aircraft shown in the primary radar data was flight MH370. After much forensic work and deliberation, the F.A.A., N.T.S.B., A.A.I.B. and the Malaysian authorities, working separately on the same data, concur. According to the new data, the last confirmed communication between the plane and the satellite was at 8:11 a.m. Malaysian time on Saturday 8th March. So this is about the closest thing we have to a bankable fact in this whole strange affair. It’s worth hanging a hat on. Not betting one’s life on, sure, but hanging a hat. 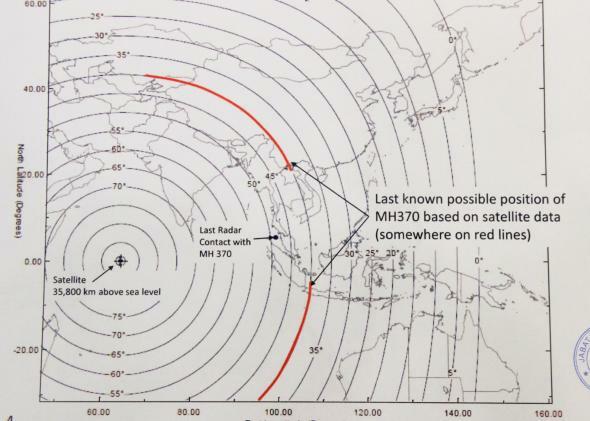 For the purposes of this discussion, then, let’s assume that at 8:10 a.m. on March 8, MH370 was located somewhere along the red arc. I believe that that range can be plausibly narrowed down significantly. As for the first, I find it impossible to imagine that MH370 landed on a small island without being noticed. I conclude, therefore, that the plane wound up on the northern arc. The reason many find this to be incomprehensible is that, they argue, it would be impossible to penetrate the military radar coverage of multiple nations with a commandeered jet. It simply could not have gone through without being detected. The article has some real jaw-droppers. I did not know, for instance, that India operates its military radar on an “as-needed” basis. In order to be detected, apparently, whoever was flying MH370 would have to have called up the Indian armed forces first. Could China be expected to do better? Perhaps. It certainly has been aggressive in declaring its intention to monitor at least some of its airspace. That still doesn’t mean that a clever and determined pilot couldn’t get through. One possibility might be to fly “nap of the earth,” close enough to the surface of the earth to elude the sweeps of a radar beam. (“Nap” stands for “near as possible.”) This would require a much higher fuel burn and result in a lower speed, but neither of those facts would necessarily undermine the plausibility of this scenario since the flight didn’t get very far in the six hours between 2:15 a.m. and 8:11 a.m.; either he went high and fast on a circuitous route (like the earlier zigzag performed just before disappearing from the military radio data) or low and slow. Going low would have forced him to go a lot slower, but this doesn’t pose a problem to the theory if he had a full six hours to travel to travel the relatively short distance of 2,200 miles. There’s no way to tell for sure at this point. But if the dual-arc information is correct, then whoever took MH370 must have figured out some way to get through the radar. Read the rest of Slate’s coverage of Malaysia Airlines Flight 370.